Facts and figures may help us quantify our collective footprint on the world, but they don’t necessarily make us care about it. Spurred by this sense of detachment, photographic artist Chris Jordan struck out on an impassioned quest to imbue some of these cold, hard numbers with deeper meaning. 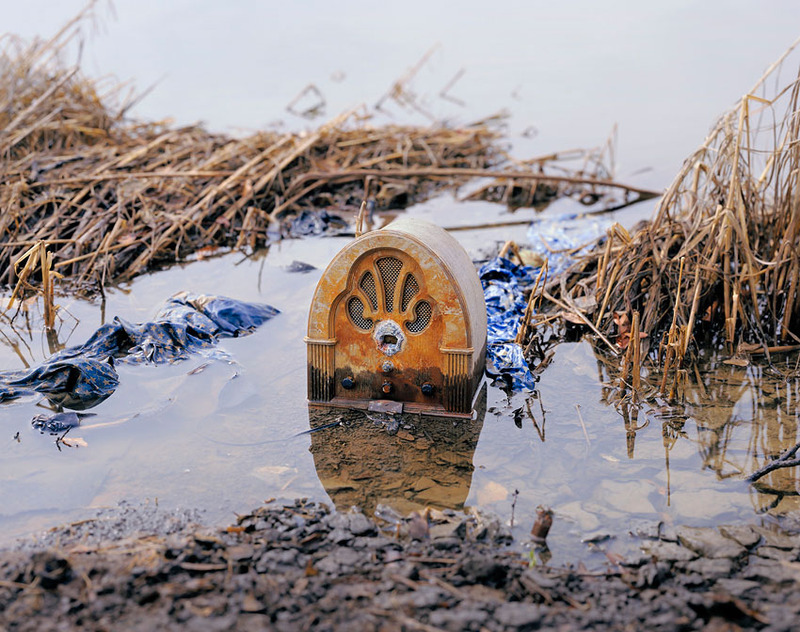 Through photographs that are eye opening or heartbreaking — or both, Jordan depicts the collective impacts of human activities on our society and environment. 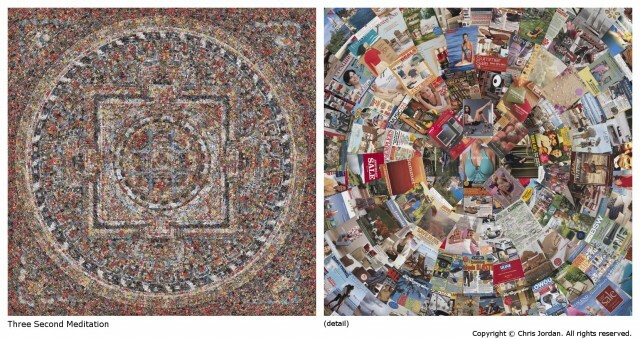 In his acclaimed “Running the Numbers” series, he dissolves the barriers between art, science, and math by turning staggering statistics about mass consumption into intricate, large-format images assembled from thousands of smaller photographs. From plastic pollution to fuel consumption to high school dropout rates, all of Jordan’s work underscores the power of visualization to help us make sense of critical issues, and evoke an emotional response that may inspire us to change the way we interact with our world. In this intimate conversation, QUEST television host Simran Sethi talks with Jordan about the passion, purpose, and creative process behind his art, including his latest masterpiece “Silent Spring,” which features 183,000 graphite bird illustrations: the estimated number of birds that die every day in the United States from exposure to agricultural pesticides (pictured above in video thumbnail). Despite the fact that Sethi was in Istanbul and Jordan was in his Seattle studio, we were able to capture their discussion on video via Google Hangout. Below are a few exchanges from their long-distance conversation. 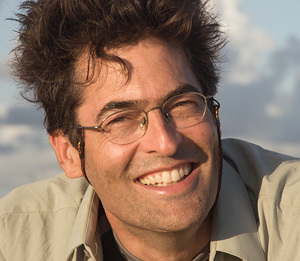 Sethi also explores other stories about the intersection of art and the environment in this new QUEST television program, which features the breathtaking imagery of Great Plains photographer, Mike Forsberg. [click to enlarge] Depicts 139,000 cigarette butts: the number of cigarettes smoked and discarded every 15 seconds in the U.S. (2013). Cigarette butts are a main source of litter in America’s parks and public spaces, where they leach toxic chemicals and carcinogens, contaminate water sources, and poison wildlife. SS (Simran Sethi): Chris, you have been my friend and my inspiration for years, and that’s largely because of the incredible integrity of your work. How would you describe your photography? CJ (Chris Jordan): Well, really what I’m trying to do is face the kind of frightening reality of our time. There are all of these issues out there that we read about every day, whether it’s global climate change or the number of fish that are being taken from our oceans or the number of trees that are being cut down in our forests or the number of women that are being abused all over the world. There are all these issues that we read these giant statistics about, and yet we can’t see the actual issues themselves. They’re invisible. They’re spread out over the entire planet. And there’s no other way we can experience those issues other than by reading the gigantic numbers that are the statistics… I just want to create a visual image that at least points in the direction of the beginnings of comprehension of these issues so that we can start to feel something about them. SS: In everything that you represent with your images, it isn’t that dispassionate objectivity of the photo journalist; it is the story of someone who deeply cares. Can you talk more about that relationship [between photographer and subject], and about the intersection of art and sustainability and what it means to you? CJ: That’s a beautiful question. That to me is the great mystery of the photographic medium. Think about the actual physical process of taking a photograph with a digital camera. You have this electronic device that projects an image through a lens onto the sensor and from there the image is converted into millions and millions of ones and zeroes, which are saved on this little plastic card, which you then bring home and put in your computer. And you can manipulate those ones and zeroes and send them to a satellite, and then that image might appear on someone’s iPhone in Australia. And despite all of the strange translations that happen during that process…the feeling that the photographer had at the moment of taking that photograph — the relationship between the photographer and the subject — transfers and is captured in that image. So what I’ve learned is that if I allow myself to feel something for the subject that I’m working with, somehow that feeling is embedded in the image itself. 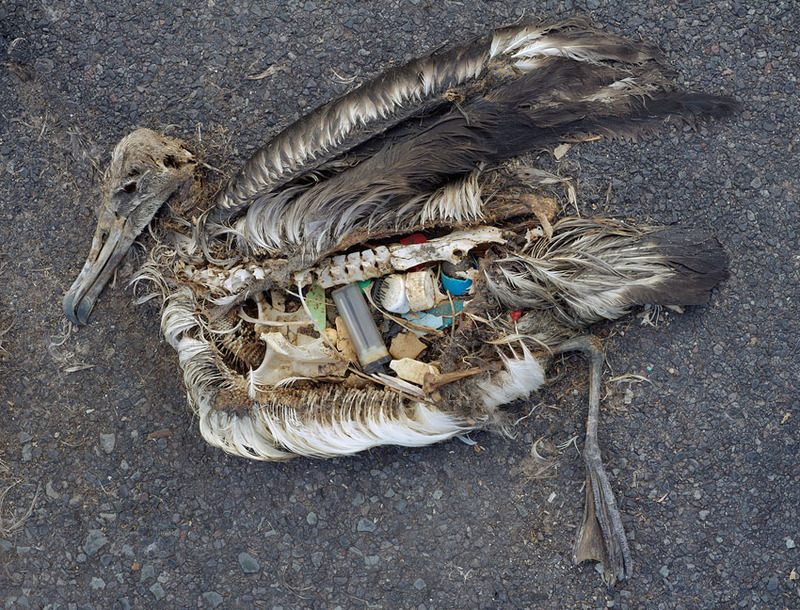 And if I feel sadness and love for the birds on Midway Island, when that person in Australia looks at the image on their iPhone, those things are transferred to them. SS: Who or what inspires you? CJ: What inspires me and also keeps me up nights is the potential that we have to change. I mean, isn’t it the strangest thing to think that we have the world that we have, which in many ways is in collapse — there’s so much horror, there’s so much bad news of a thousand different kinds on all of these different dimensions — social and environmental — and yet there’s nothing stopping us from changing. We could change. But there are all these institutions that seem so powerful and unchangeable, and we could change them today if we decided we wanted to. And that’s the inspiration behind all of my work… . I guess it’s hope. To me, that’s what hope is: it’s the knowledge and belief that we could change. And my belief is that all we have to do to accomplish that change is remember that we love the world that we live in, and each other, and the gift of life that we have — if we could just collectively remember that. *Interview excerpts condensed from the original. Access the full transcript here. Science is NOT 100% certain that THE END IS NEAR and has been only 95% certain for 32 years so it’s the world of science that we need absolute certainty from, NOT the consensus of a goose stepping mob of you determined “believers”. Really? You’re trolling a profile of an artist with your delusional Climate Denier nonsense? The art is amazing. Did you bother to look at it? Maybe you should… it was made specifically for you. Lisa Landers is a producer and writer whose work includes documentaries, museum exhibitions, and educational multimedia. Her work has covered a diversity of subject matter including natural history, ecological and social issues, cultural exploration, food, music, and architecture. She’s developed and produced films for broadcasters such as National Geographic, Smithsonian Channel, and the Discovery Channel. Her work as an exhibition developer and multimedia producer has been featured at institutions including the American Museum of Natural History, the National Building Museum, and The Tech Museum. Her writing has also appeared in a wide variety of print and online publications.